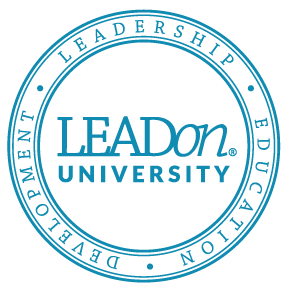 Podcast #07: Accountability from LEADon on Vimeo. In our seventh Podcast, Drs. Steve and Jared talk about one of the most critical aspects of the LEADon approach: accountability. Some people have a difficult time with the concept of real accountability, but it is actually the glue that can hold individuals, teams, and the entire Corporate Family® together. While establishing vision and mission statements are important, as is creating core values for the Corporate Family, all of these will only be effective if they are understood and upheld. Too many boards and C-level leaders are incapable of reciting their own core values or mission statements. In addition, while many of these are posted on walls around the business, few employees really know or follow them. Accountability changes this because everyone from the receptionist to the CEO must know their company’s core principles—and they must also hold each other responsible for maintaining those agreed-upon standards. Learn why benchmarks provide crucial “straight lines” for all employees to follow, and how establishing the practice of accountability can dramatically impact leadership at every level of your organization. Discover why accountability must start at the top, and then it can be cascaded throughout your entire company. Accountability will require commitment, which is another essential aspect of healthy relationships and corporate culture. No one is above accountability, and anyone who believes they are should have no place in your Corporate Family.